Being the all-day snacker that I am, the two greatest sinful pleasures for me have to be chocolate and potato chips. These are the two food items that I crave for almost everyday. One of my simplest rules in life is that you always have to balance the savoury and sweet. So usually after hitting the chips, I'll head for the chocolate. Well, to relieve myself from some guilt of calorie pile up, I decided that I should search for an alternative to the packed potato chips that I always buy. (For some unexplainable reason, I always find myself drawn to the snacks aisle in the supermarket.) 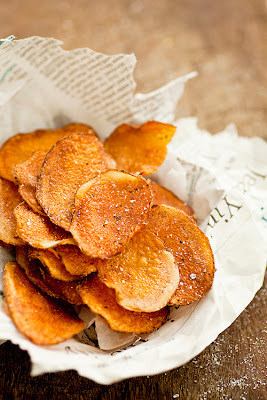 Anyway, the alternative to commercial packed potato chips -- homemade oven baked potato chips! 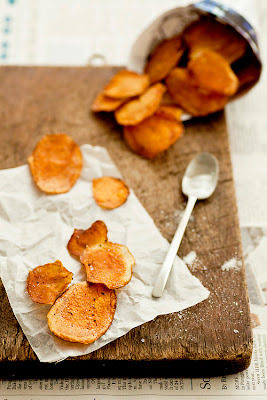 I'm just so astounded by how easy it is to make and I truly love that I get to season it any flavour I like.. Some days I'll like it spicy, some days garlic-ky, some days with a herb-ed freshness. 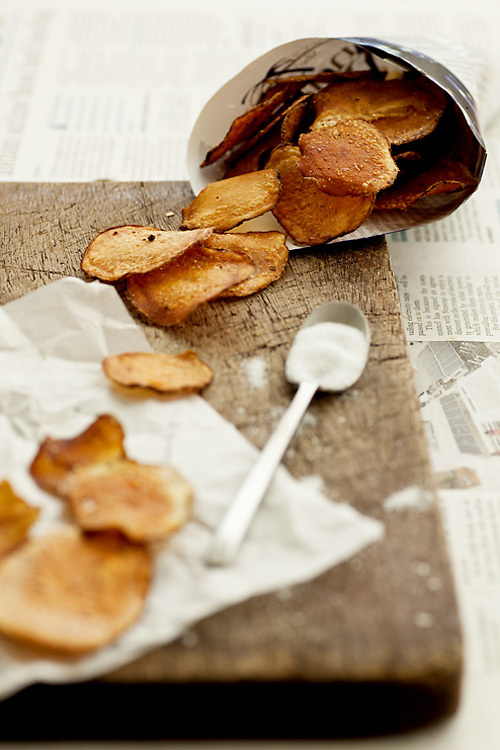 Here's the recipe for a basic potato chip. Take joy in creating any flavours you like! - Preheat oven to 180*C.
- Bake for 10 mins until it's slightly golden one side. Remove from oven. 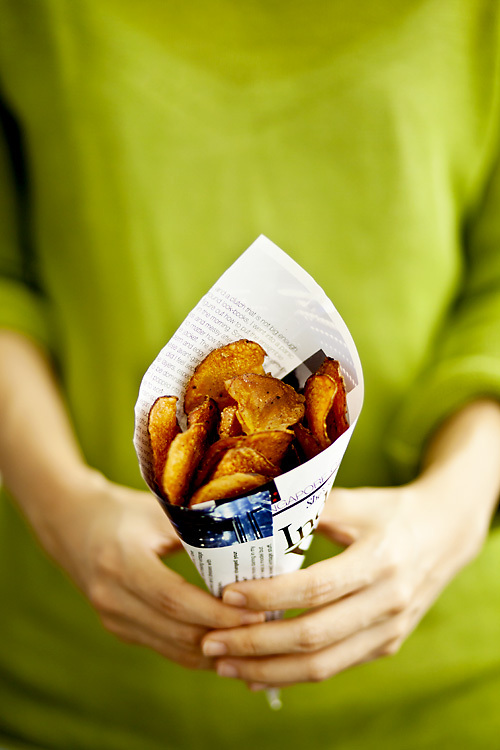 Flip the chips on the other side and bake for another 10 mins or until chips are crisp.